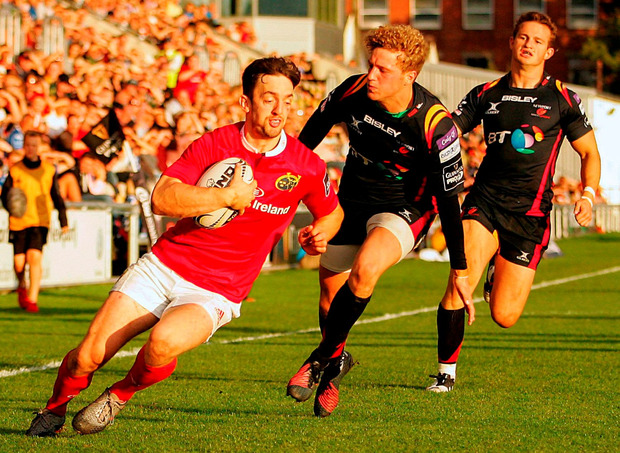 I’m sure I specified Munster would score 10 points rather than win by 10 last time around… never mind that, this week brings the lowly Dragons to Irish Independent Park and a much changed starting lineup for the men in red. Four players have been released from Ireland duty (Rory Scannell perhaps being the most surprising) and little tinkering in the backline to return a couple of players to their preferred positions. It will be of some concern that two of Munster’s last four Cork fixtures have resulted in defeat, at the hands of Welsh opposition too, but last weeks gritty single point triumph over Edinburgh showed the true character & determination of the province as a whole, regardless of which players are involved on matchday. Perhaps unjustly released from the Irish setup, Andrew Conway will look to prove his point this Friday night. An all action Fullback/Winger, Conway like plenty of his Munster teammates has displayed some scintillating form this season. Blessed with tremendous upper body strength belying his somewhat smaller stature, the former Leinsterman is primed to show Mr Schmidt exactly what he is missing out on. Bizarrely not involved in green (again) this weekend, Rory Scannell is parachuted straight into the starting XV for the men in red. Perhaps a victim of his own versatility, Scannell I feel has done so much to more to warrant inclusion than the current bench option (even though he’s a Munsterman!) Scannell is equally adept at 10 or 12, and is competent enough at fullback also. On the cusp of an Ireland squad will only spur the Dolphin RFC clubman on this weekend, plus the inclusion of his elder brother Niall! At just 19 years old, Tyler Morgan landed himself a dual contract with the Dragons and Welsh Rugby Union. 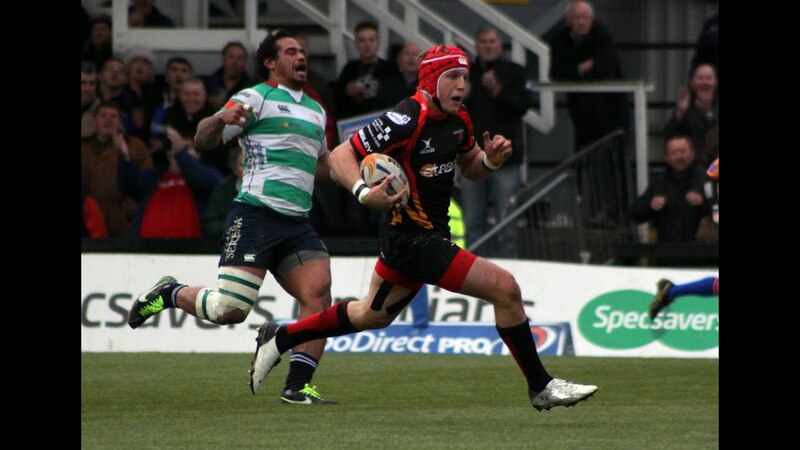 At 20 years old, Morgan was drafted into the Wales squad for Rugby World Cup 2015. Three Welsh caps followed in an impressive tournament for the young centre. Possessing a fantastic pair of hands plus a natural quickness, time is on the young Morgan’s side to disrupt the Welsh favoured centres of Jamie Roberts, Scott Williams & Jonathan Davies. 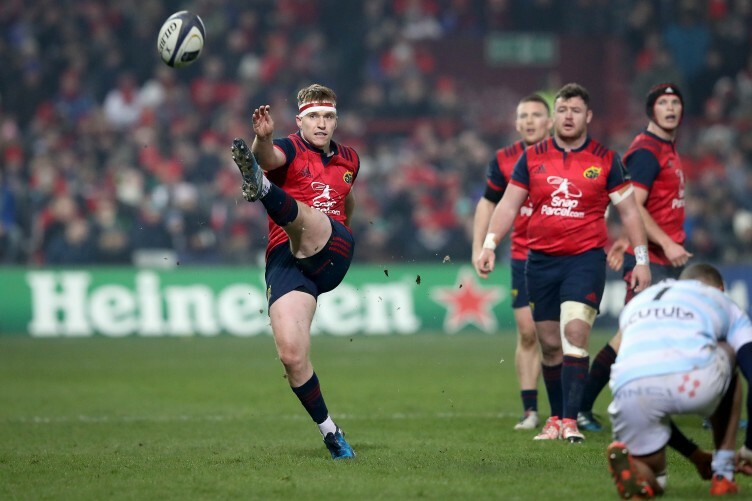 Munster: Andrew Conway, Darren Sweetnam, Jaco Taute, Rory Scannell, Ronan O’Mahony, Tyler Bleyendaal (c), Duncan Williams; Dave Kilcoyne, Rhys Marshall, Stephen Archer, Jean Kleyn, Dave Foley, Dave O’Callaghan, Tommy O’Donnell, Jack O’Donoghue. Replacements: Kevin O’Byrne, Peter McCabe, Brian Scott, Darren O’Shea, Conor Oliver, Abrie Griesel, Francis Saili, Dan Goggin. Replacements; Elliot Dee, Thomas Davies, Lloyd Fairbrother, Nick Crosswell, Harrison Keddie, Sarel Pretorius, Angus O’Brien, Sam Beard.